The Oak Street Alley Mural Festival could not have been more of a success! Over 30 artists painted live while enjoying live entertainment and cuisine. Live bands included Kite 9D3, The Edisons, Hollowpoint Vigils and Jerusafunk. Click below to learn more about the festival! 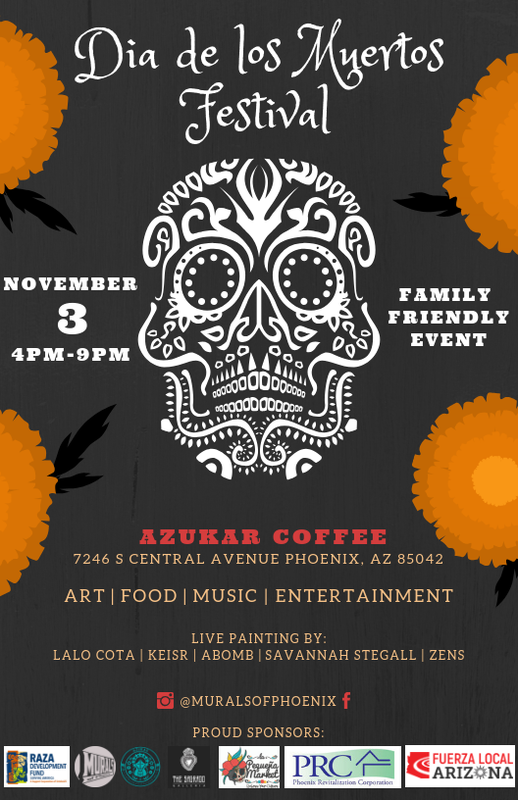 On November 3rd, 2019, we celebrated Dia de los Muertos with a cultural festival at Azukar Coffee. We enjoyed an evening full of live art, music, and amazing food. Live painting included Savannah Stegall, Lalo Cota, Keiser, Zens and Adam “ABOMB” Vigil. 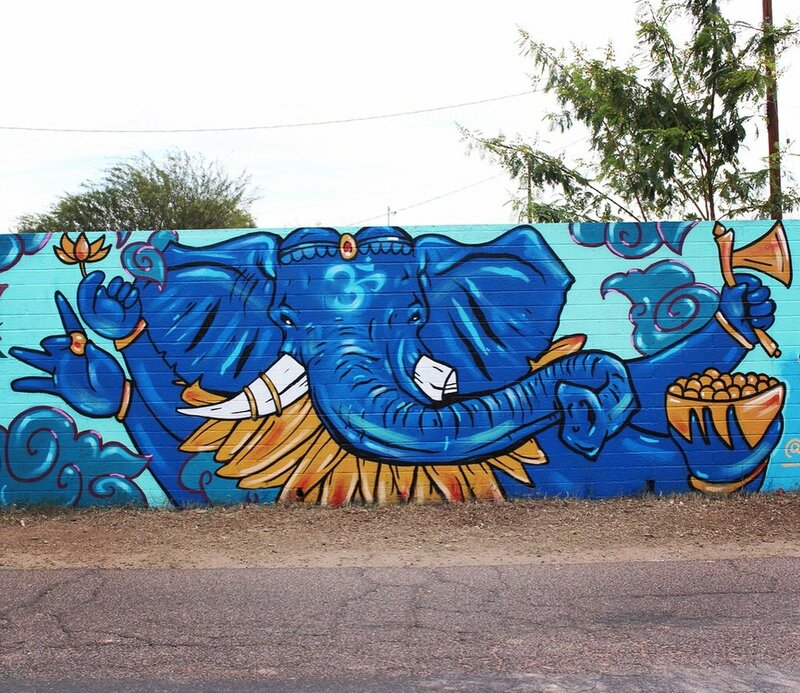 On March 18th, 2018 residents from the Coronado Neighborhood along with Murals of Phoenix organized the Oak Street Alley Mural Festival. The event consisted of 40 artists that donated their time to create the art showcase. Live bands including Eclecto Fenix, "O", Kite 9D3 and Hollow Point Vigils played all afternoon as community members enjoined snacks and food such as tacos, corn on the cob and aguas frescas (fruit waters). The event had over 500 attendees that had a one of a kind experience. Last December, we invited Sentrock to work with us on our first mural festival. Over the course of two days, six murals were created by local artists and over a hundred art enthusiasts shared in the live painting experience.